Automatic Transmission Fluid There are 2 products. 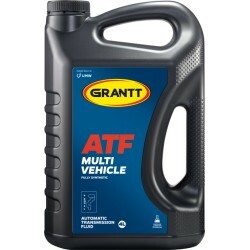 PRODUCT DESCRIPTION GRANTT ATF MULTI-VEHICLE is a fully synthetic multifunctional fluid for automatic and power-shift transmissions. it is formulated for use in a wide variety of asian, north american, and european vehicles.